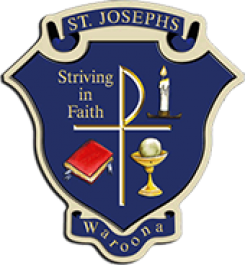 St Joseph’s School, as an integral part of the Waroona Catholic Community, is inspired by Christ’s teachings. We endeavour to nurture all children to grow as confident, independent, life-long learners, enabling them to contribute to society with dignity, respect and a spirit of service. The latest Making Jesus Real Award was presented recently. The worthy recipient was one of our students, Zachary Platell, Year 4. Congratulations!